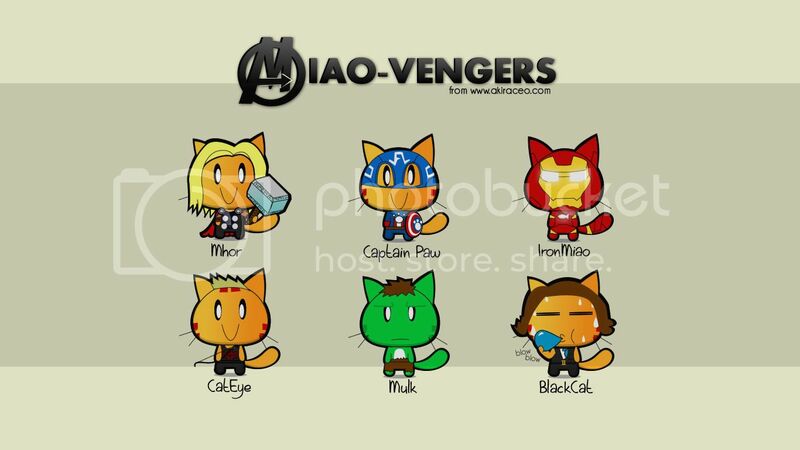 Miao & WafuPafu Comic Blog » Wallpapers: Miao in Avengers!! 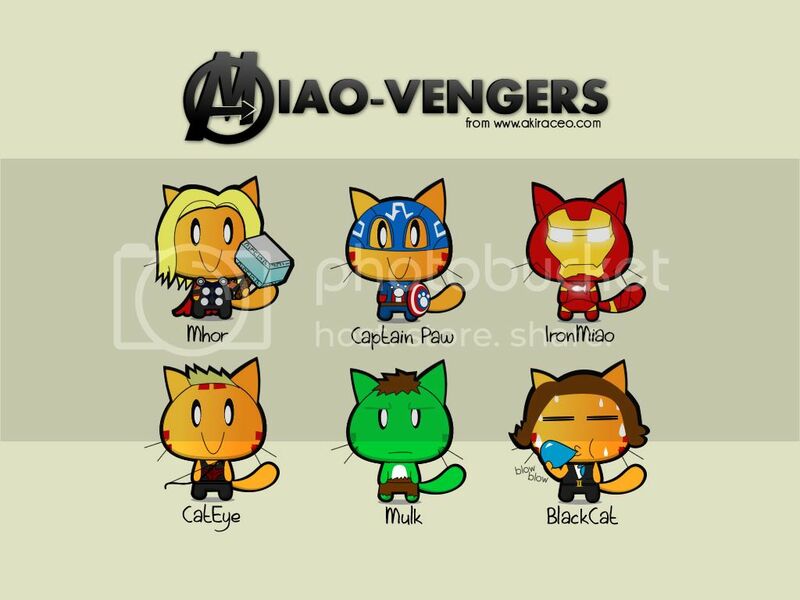 Posted on April 25, 2012 by Jian Akiraceo. 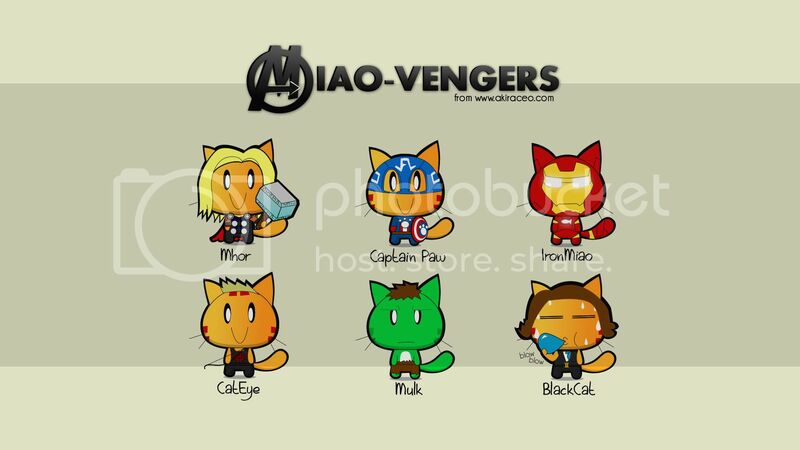 This entry was posted in Announcement and tagged avengers 2012, avengers wallpapers, cat avengers, cat wallpapers, miao avengers, miao-vengers. Bookmark the permalink. It looks great, bro. But sumthing isn’t right…. Love the wall paper, one problem. Like Mulk, but what is he not happy??? 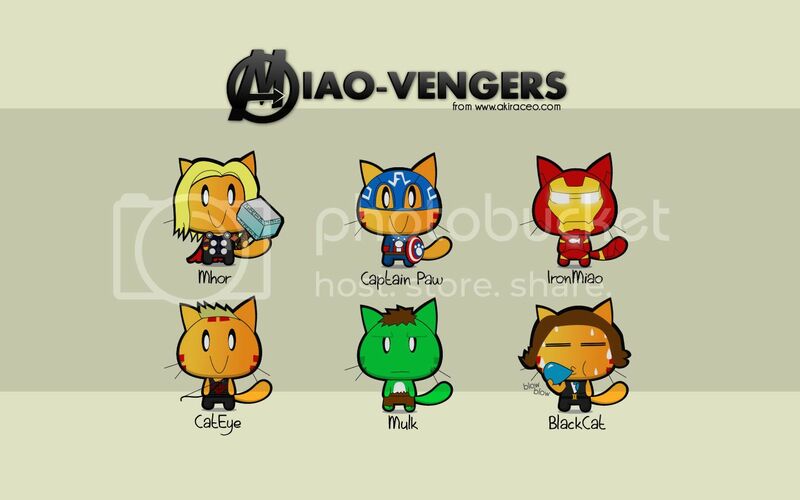 hahaha XD power of paw!